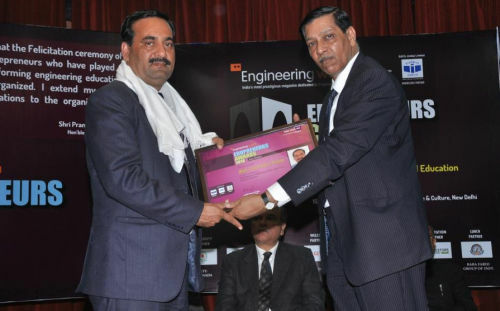 Rayat-Bahra University has developed a unique idea to encourage its students’ quality of entrepreneurship. They called it Innovation Shop and with it they are hoping to imbibe a sense of entrepreneurship in students by providing them a platform to sell their innovations, get confidence on their business ideas so that they can start converting their products into actual selling product or service in the market. Nikhil Dwivedi, Founder & Sr.Manager – Entrepreneurship Cell explain innovation shop as a place in the college campus itself where a student can come and put up his innovations for display and sale. This shop is to be placed within every campus premises so that any student gets a chance to give wings to his innovation. First innovation Shop was organised on 16th September 2011, at Rayat-Bahra’s Hoshiarpur Campus and same was organised at its Mohali campus. Rayat-Bahra University claimed that these shops have done a business of more than Rs. 1,00,000 till date & the owners of products enjoy the profit made out of those products. Products like Registers, Copies, lamps, paintings, paper weights made of stones, carry bags, cards, pouches out of waste material & many more have been made. Till now these types of shops are limited to its three campuses for now, but soon Rayat-Bahra University is planning to spread it to the whole Rayat –Bahra empire.